Northern Lights Ring is unique and radiant. 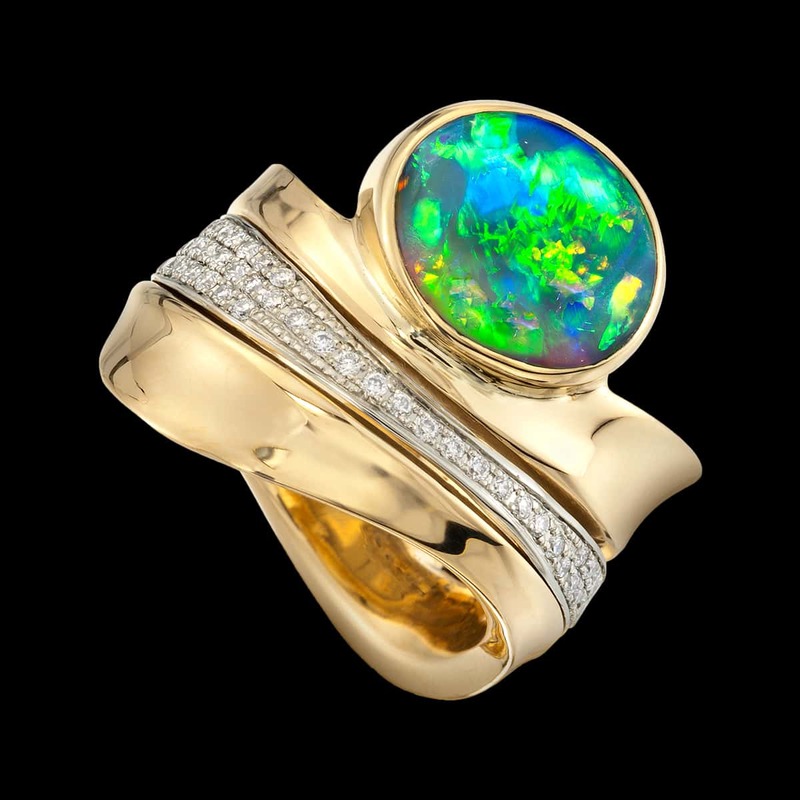 In Northern Lights Ring, a decadent 2.70 ct Australian black opal dazzles from undulating lines of gold accented with .30 carats total weight VS F-G diamonds. To purchase, call (949) 715-0953 or use our contact form below.